Nerium International Breaks Korean Direct Sales Launch Records By 5 Times! Nerium International opened in Korea July 28, and added more than 40,000 happy Brand Partners setting industry records with the first-month sales. Nerium is proud of these impressive accomplishments, including our Live Better Bonus earners that were recognized on stage during Get Real Dallas. In just 38 days after the Nerium launched in Korea, Nerium’s Korean Market has seen the success of more than 200 National Marketing Directors, including 2 International Marketing Directors. These achievements are an incredible testimony to the hard work and passion of our new Korean Brand Partners! Highest sales revenue by a new company in the first 30 days! Over $39M sales revenue in the first 45 days after opening! 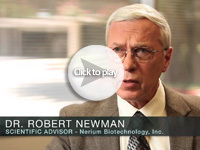 Nerium International prepared to launch in Korea with the Nerium proven anti-aging skincare products Optimera. With the Nerium Global Expansion in July 2015, Nerium International provided all the materials necessary to prepare for the Korea expansion. In Preparation for the Nerium Korea Expansion we enrolled new Brand Partners in the United States, Canada and Mexico who speak Korean, or anyone that had family, friends or contacts that live in Korea. If you live in Korea, we can provide you with the Nerium resources today so that you can learn about our Optimera anti-aging skincare products and the Nerium opportunity. We have Nerium resources available in Korean to help you learn more about Nerium International and the huge financial opportunity this represents! 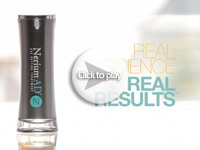 If you reside in North America, Mexico, Canada or Korea you can become a Nerium Brand Partner. Once enrolling as a Nerium Brand Partner you are able to build your business and sale the anti-aging skincare products to anyone in any country that Nerium International expands into. 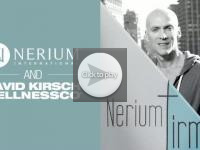 Nerium International is one of the fastest growing companies in the world. The opportunity with Nerium is unlike any other. In only three short years Nerium International has made history with record setting growth. Nerium offers a free inventory program to all Brand Partners and an extremely lucrative compensation plan. Nerium International has awarded more than 9000 Lexus car bonuses in the last three years! Nerium International will be expanding into additional countries again in 2016, adding new products, territories and affiliations. If you are interested in being a part of our global expansion team, please contact us today for information on how to get started. Contact Us (805) 888-5225 Koren Interpreter Available! There are many other resources available for you in Korean! 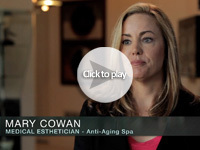 Become a Nerium Brand Partner today! Have you dreamed about owning your own business? Now is the time to make that dream a reality. Don’t Miss Out On The Benefits Of This AMAZING Product & Business Opportunity!